In early 1975 I travelled from Bath by train to London for a farewell drink with colleagues in the Civil Service at the Empress State Building in Earl's Court (I was changing career direction and we were about to leave Somerset for the coast of Anglesey). After the farewells had all been made, there was time before the evening train to hasten down the Earl's Court Road to a bookshop I had visited several times before. This, I think, was called Scudamore Books, now long gone like so many in busy shopping streets. 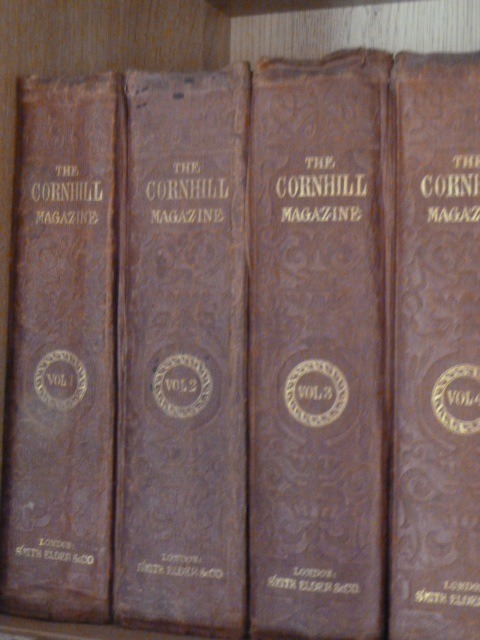 At the back of the shop I noted a pile of stout octavo, mainly leather bound books; these were various volumes of the 'Cornhill Magazine' dating from the 1860s to the 1880s. 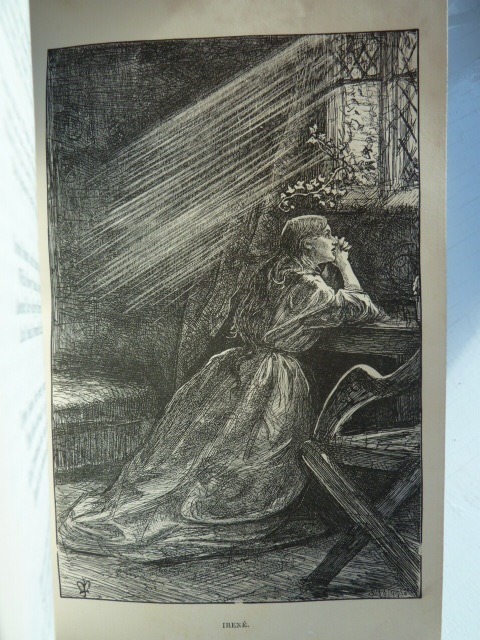 Browsing in them I noted works by Thackeray, Trollope, Thomas Hardy and others in serial form, together with fine illustrations by artists such as Millais and George du Maurier. So, what to do? There were 14 volumes in all; leaving some behind was, of course, unthinkable. This was clearly a moment made for the dedicated book buyer, so negotiations began and we settled on 50p a volume, making a total price of £7. What followed was a nightmare journey to Paddington, by foot and tube (I think it was also raining) carrying four large bags with a total book weight of 16kg, then train to Bath, and finally home to Midsomer Norton with the handles of the bags by now pretty much welded into my fingers. It was then that serious browsing began to find out what further treasures lay within. 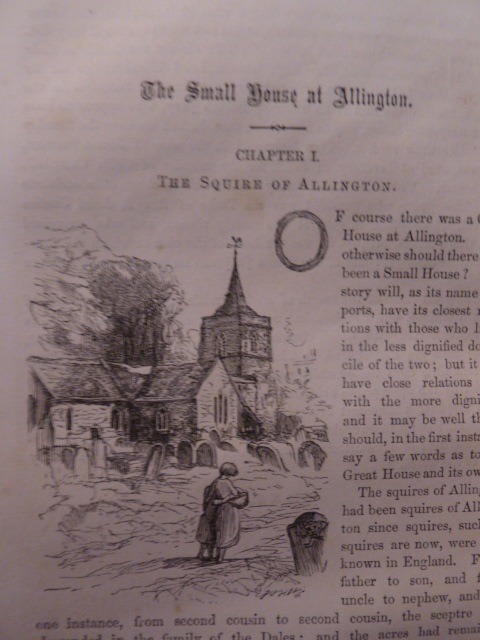 The volumes I had were not a continuous run, but there were some small runs within the set and some complete novels, such as "Wives and Daughters", by Mrs Gaskell, "The hand of Ethelberta" by Thomas Hardy and "The Small House at Allington" by Trollope. The volumes each comprised 6 monthly parts and typically a novel would span two or three voilumes. Since that initial puchase we have added more volumes to fill the gaps and we now have a run of the first 18 volumes (i.e. 9 years) and a further 6 volumes, the final one being Jan-Jun 1883. 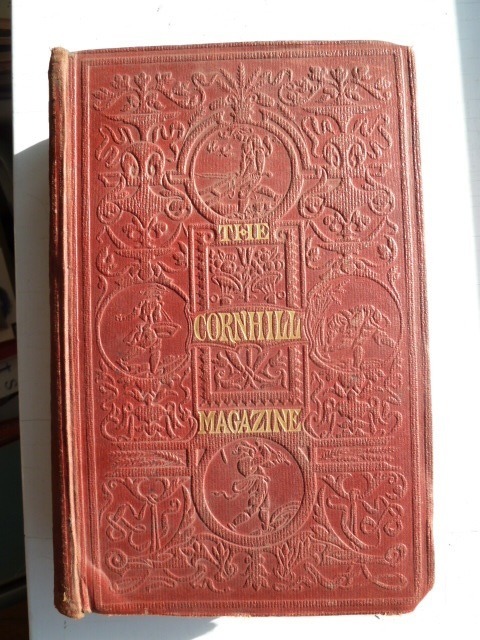 The Cornhill Magazine was founded in 1860 under the editorship of Thackeray and, amazingly, continued publication until 1975, although its best years were in the early part of its life. Its publishers were Smith, Elder, the publishers of Charlotte Bronte and John Ruskin and a later editor was Leslie Stephen, father of Virginia (Woolf) and Vanessa (Bell). The magazine was named after its place of publication in the heart of London's publishing district. The 1860s were, perhaps the highwater mark for literary magazines and the Cornhill competed for circulation with Charles Dickens' "All the Year Round" (founded in 1859) but was a much more attractive publication, with its fine illustrations. 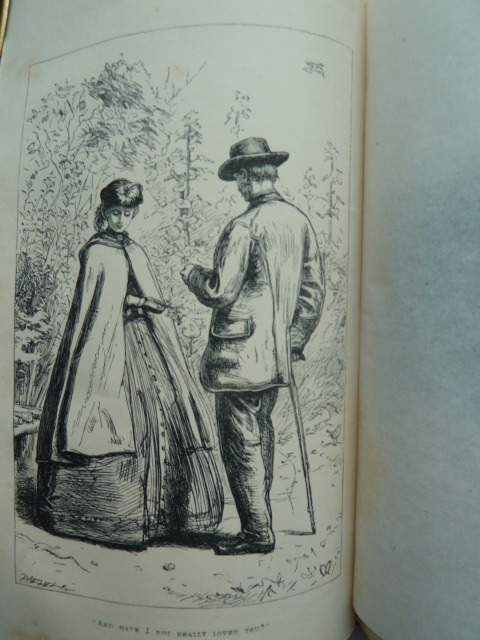 The first issue commenced publication of one of Trollope's finest novels "Framley Parsonage", illustrated by J E Millais. 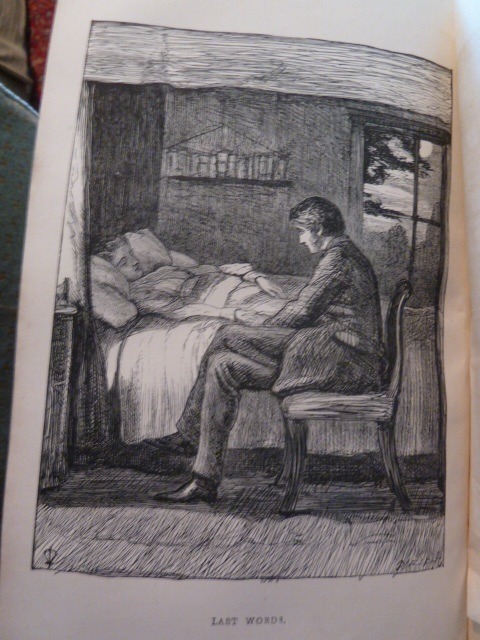 The first few months also featured Thackeray's "Roundabout Papers" and George Macdonald's supernatural story "The Portent", illustrated by W J Linton. Another highlight in Volume 1 is the fragment of Charlotte Bronte's last novel "Emma", published here for the first time, with a note on the author by Thackeray. 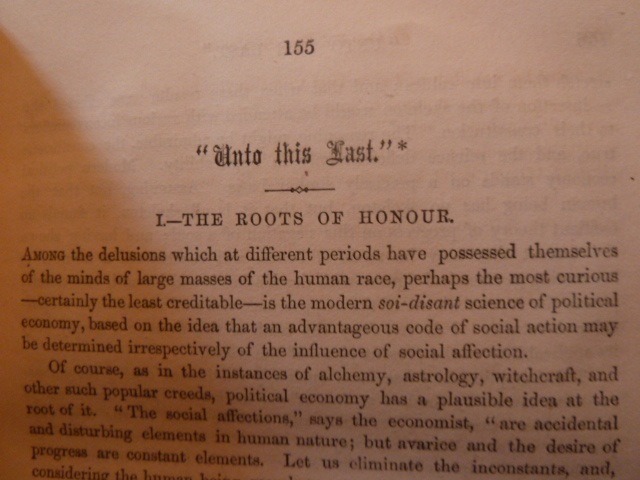 Volume 2 saw the commencement of publication of John Ruskin's "Unto This Last". This turned out to be too radical for the conservative owner George Smith and the Cornhill ceased publication of the work after four parts. In book form, though, it went on to be one of Ruskin's bestselling and most enduring books and a great influence on socialist philosophy. 1862 saw George Eliot's "Romola" commenced, together with Trollope's "The Small House at Allington", illustrated again by J E Millais. 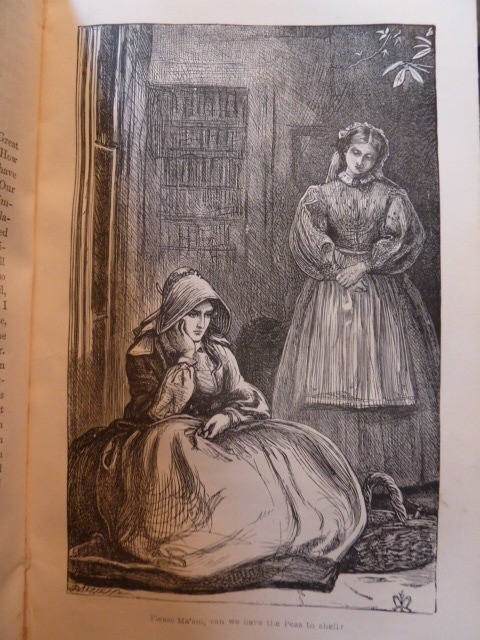 "Cousin Phyllis" and "Wives and Daughters" by Mrs Gaskell, these were beautifully illustrated by George du Maurier. The latter novel remained unfinished at the time of the author's death, which is again noted by the editor, with an indication of how the novel may have finished. "Armadale", one of Wilkie Collins' most brilliant mystery novels. "Lovell the Widower", "Denis Duval" and "The Four Georges" by Thackeray. 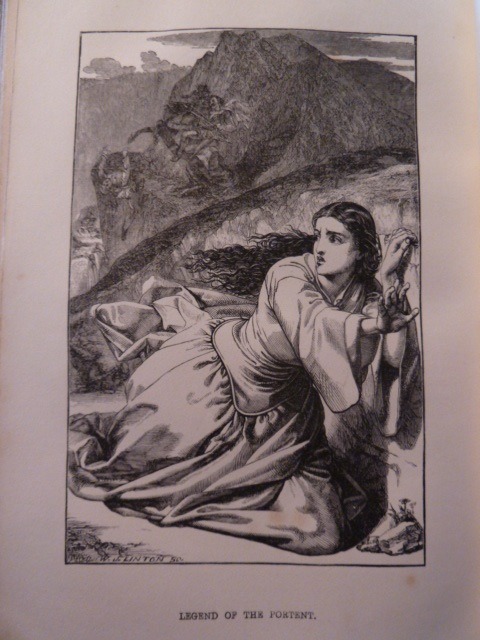 In addition, there are works by Charles Lever, Mrs Oliphant and Vernon Lee (famous now for her ghost stories). The standard may have fallen off after the first decade, but new generations of writers are represented in subsequent years. Thomas Hardy's "Far from the Madding Crowd" ran through 1874, while his "The Hand of Ethelberta" ran for 12 months from July 1875. 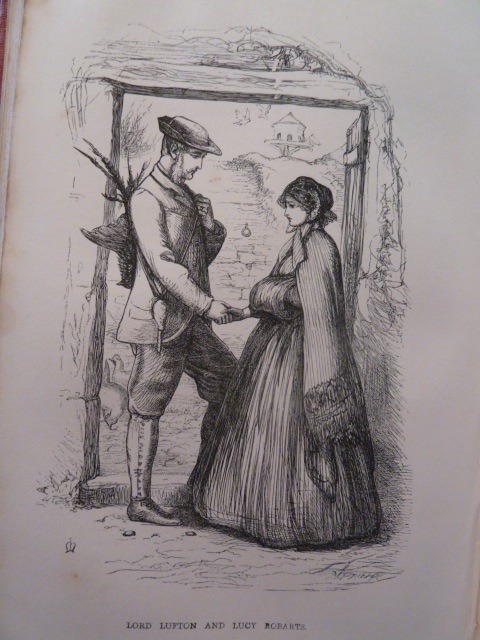 Thomas Hardy's illustrator for "Far from the Madding Crowd" was the young Helen Paterson (who he praised highly). 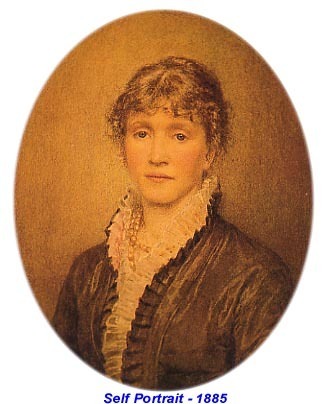 After her marriage to William Allingham, she published enduring colour picture books, such as "Happy England" and "The Cottage Homes of England", which have been much reprinted and offer a bucolic view of English rural life. 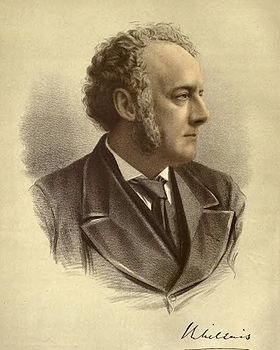 Henry James' "The Siege of London" commenced publication in January 1883. As well as the novels (for which I imagine the monthly issues were mainly bought in their tens of thousands), there were articles on various aspects of philosophy, art, social conditions, politics and a range of other subjects. In here, for example, is Thackeray's generous eulogy to his great rival Dickens after the latter's death in 1870. 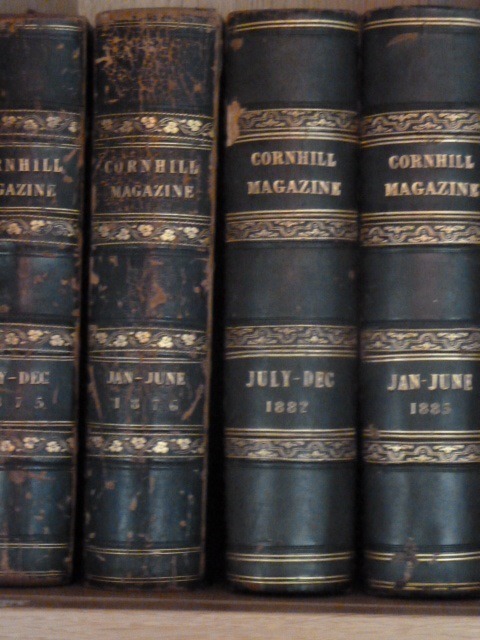 Our small run of Cornhill Magazines ends in 1883 and I have not browsed in the magazine after this date. 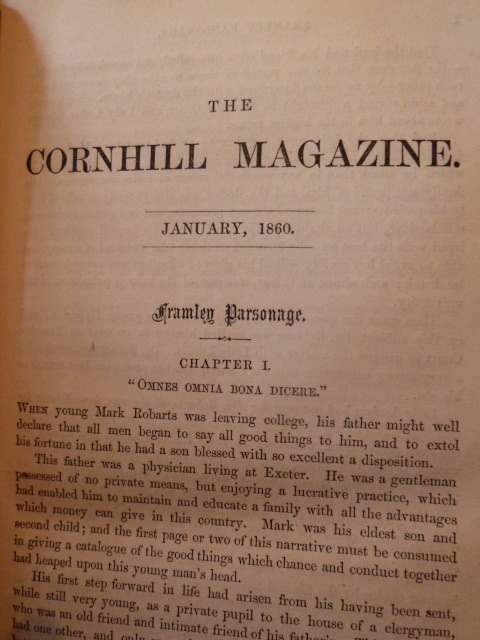 However, the volumes carried home from Earl's Court have stayed with us through various house moves and library re-arrangements and have always had a place of honour on the shelves as befitting one of the greatest of all literary magazines. It is a wonderful place in which to read some of the best writing of the Victorian period. 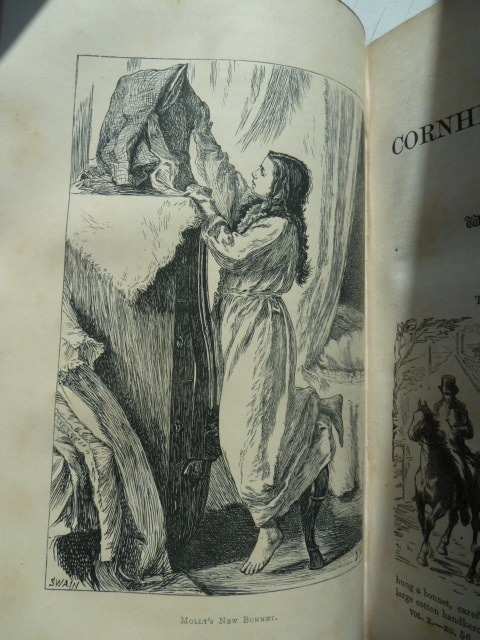 It is also the place to see some of the best book illustrations of one of Britain's finest artists, John Everett Millais, who contributed no less than 30 full page engravings to the Cornhill as well as some initial letter illustrations. In a reversal of its original journey one of these Cornhill volumes returned to London some years ago to be used in an exhibition of Pre-Raphaelite book illustration at Tate Britain, curated, I am understandably proud to say, by the daughter of this very mad book-collector.